Salvation comes by grace, but publication comes by works. 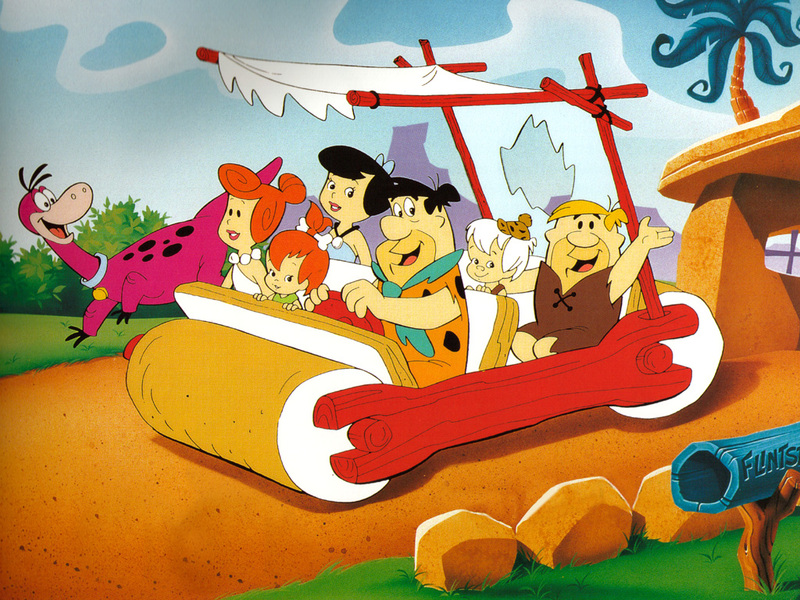 As I think back to my childhood, one of my favorite TV shows was The Flintstones. 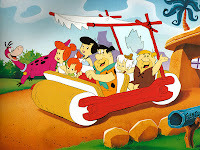 Oh, you remember, the “modern stone-age family” from Hanna-Barbera, the 1960’s kid show with the deep adult message. Almost every episode contained a profound spiritual commentary about the human condition, subtly, sans hard-line preaching. Think about it: Whenever Fred had an important decision to make, he would launch into a strange conversation with himself, in his head. On his right shoulder stood a tiny angel, about an inch tall, wearing a white gown, wings, and a halo. This saintly figure whispered into his ear, urging him to do the right thing. On his left shoulder stood a tiny demon, about an inch tall, wearing a red suit and horns, carrying a pitchfork. This evil imp whispered into his ear, quietly urging him to do the selfish thing, take the easy way out. More often than not, the guy in the white gown prevailed. Or even when he didn’t, Fred always regretted his decision before the episode was over. Not a bad lesson for children in their formative years, even if they can’t quite grasp the multiple layers of meaning in the story. Fred’s experience plainly illustrates the dual nature that resides in the soul of every believer. On the one hand we have our faith, our ministry, our calling. This is the selfless side that earnestly desires to honor God, to serve his people. On the other hand resides our dark sinful nature, with its greed, lusts, and worldly ambitions. This is the godless side that beckons us with promises of fame, riches, and carnal pleasures. Please, don’t try to deny it. This red-suited demon lives within each one of us. And yes, that includes you, professing, card-carrying disciple of Christ. So, what in the world does this have to do with publishing? Stay with me. After a few rejections, many writers end up feeling discouraged and bitter. They populate the online chat rooms and message boards, decrying the unfairness of it all. They speak with all the confidence of seasoned professionals, complaining that someone out there is interfering with their sense of entitlement. In a similar way, sooner or later, every Christian writer will encounter the perils of the competitive marketplace. Which means that he will probably receive dozens or hundreds of rejection letters before being blessed with a contract offer, if ever. And sometimes that road is intolerably long and painful. Don’t they understand that I’m offering them a message straight from the heart of God? Here’s the problem: Christian writers often feel a special brand of entitlement. Despite our spiritual intentions, we still have that dark worldly side. We take those normal human insecurities and join them to a sense of divine sanction, claiming the promises of the Bible, believing that our service to God should translate into a promise career success. I have a holy ministry; how dare they say it’s not good enough! Just as in the world of the pagans, the Christian publishing business is a buyer’s market, driven by the vicissitudes of an ever-changing marketplace. She's a fickle beast, and she only eats what pleases her. At any given moment there are millions of writers out there competing for a relative handful of publishing contracts. This means that the publishers enjoy a special advantage, where they can cherry-pick the best work from within that pool of submissions. Now for the part that many writers don’t want to hear: It’s not about you. The market doesn’t care about your career, or your happiness. It’s about your target reader, and whether your book will truly suit her needs. It’s about business, and whether a given publisher believes they can reasonably recoup their investment. In my role as a literary agent, I find myself in the same position as the publishers: On a daily basis, people send me their manuscripts, their beloved progeny, and I must evaluate the quality and commercial value of their writings. More often than not, I must say no; there just aren’t enough hours in a day, to help everyone. Sometimes I try to offer useful feedback, to explain my reasons. Often this only invites an angry retort, telling me that I have no right to criticize their work. If a particular project shows promise, but it's not quite ready for prime-time, I might offer them a second chance: Seek out the services of a professional editor, follow their advice, and re-submit to me within 90 days. More often than not, they feel insulted; they're not interested in learning how to write, or how the business works. They just want to sell the stuff they already have. (This is good information to know, before I take on someone as a client!) Doesn’t every publisher have its own staff of editors and proofreaders? The answer, of course, is, yes. But this is no excuse not to put your best foot forward. If you want to succeed in the publishing world, try this: Take a writing class at the local community college, find a mentor, and attend writers’ conferences. Invest in your own career; buy a few reference books, join a writer's group, and invite brutal critiques. Then when you have a have a decent manuscript to offer, start pitching agents and publishers according to their prescribed guidelines. Leverage every rejection into an opportunity for education, not an excuse for bitterness. Pay your dues, then pay it forward. Then when you succeed, you won’t just be a published author. You’ll also be a better person for it. Great words. Yes,I feel God has called me to this ministry, but I'm not above working and bettering myself...Now I must get back to the "working" part of publishing. To Self-Publish, or Not to Self-Publish? Authors Vs. Publishers: Who Wins? Is Christian Publishing Forgetting Christ? Literary Agents: Just A Bunch of Crooks?